It's so easy. It's so easy to read Wodehouse you should cry if you've considered not trying. Wodehouse is all about humor. Really, what's so bad about that? I'll take some good, dry British humor any ol' day! 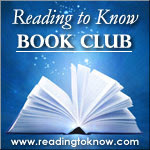 This month my Friend Who Shall Not Be Named but blogs over at Diary of an Autodidac is hosting the Reading to Know Bookclub. He has selected Wodehouse for this month's read. 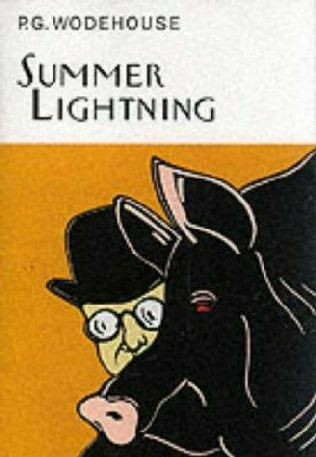 You are encouraged to select any Wodehouse book of your choosing to read during the month of April. Several of you have asked for a suggestion and we have continuously replied, "Pick anything! It's all good!" That is very much the case. Jeeves & Wooster make for common reads (but great ones!) 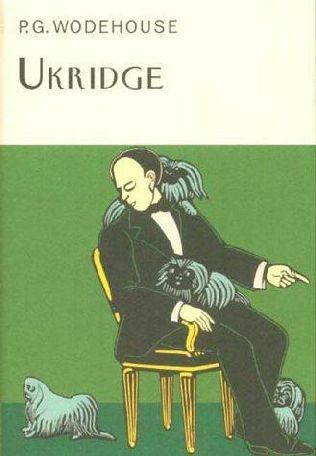 Two of my favorite characters are Psmith and Ukridge. Wodehouse is a breath of happy air in a year that is flying by way too fast and crazy-like! Stop and enjoy him. You won't be sorry! You have until Friday, April 27th to take some time out for Wodehouse! I hope you'll join in! Shucks...went to the library tonight and forgot to check for Wodehouse. I did try audio before, but I struggle with British accents...unless it's in person. Hmm...Guess I need to go again...after I complete two books for review...and ideally Pilgrim's Progress, too! I wish I would have known about this before. I certainly would have added Wodehouse to the list! But I think I'm a little book-heavy for April. I'm so looking forward to these! Today I bought Uncle Dynamite and Very Good, Jeeves. I've always heard of Wodehouse, but never read his work. Thank you for this opportunity, "He-who-shall-not-be-named" (raised eyebrow). I'm in and fully intend to give this one my attention! Woohoo! I'm going to the library tonight, so I won't forget. Fiddlesticks! I'm frustrated with my lack of participation in your book club! But, I filled in our April calendar last night and white spaces are few and far between. Added to that, my hubby has set a goal to have our house on the market at the beginning of June. Which means what white space I do have will be taken up with cleaning and organizing my house. Life is really getting in the way of my reading and blogging activities! I still haven't decided what to read yet. I read one Jeeves and Wooster book before - not sure if I'll pick up another or try something different. I have to admit I've never even heard of this author except through you. Maybe I'll have to try it for a summer or fall read as my reading is all "booked" up. Get it? Booked up? Oh I slay myself for so early in the morning. LOL.